City of Corunna, DNR Fisheries Division get support for removal, repair efforts. The Michigan Department of Natural Resources has approved two Dam Management Grant Program projects totaling $350,000. These projects will help remove obsolete structures or repair functioning dams, resulting in improved fisheries, aquatic resources and public safety. 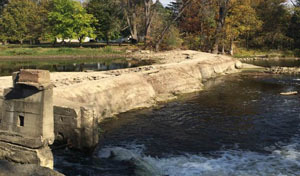 The city of Corunna, which was awarded $301,500 to provide assistance to fund the Corunna Dam #379 removal project located on the Shiawassee River (Shiawassee County). 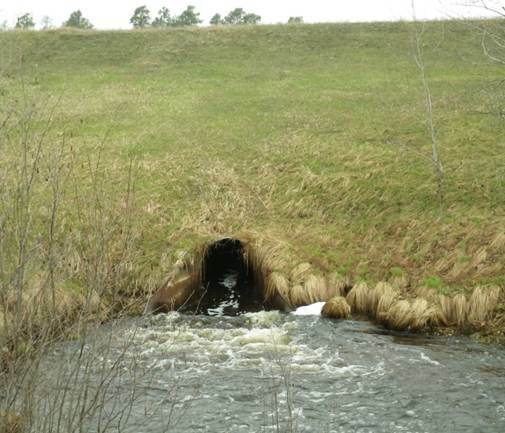 The DNR Fisheries Division, which was awarded $48,500 to further fund the Big Creek Impoundment repair project (Crawford County). This grant program was designed and launched in late 2012 to support Gov. Rick Snyder’s initiative concerning local infrastructure needs, and is funded by General Fund dollars appropriated by the Legislature for this purpose. A committee consisting of DNR and Department of Environmental Quality staff, along with local fisheries biologists and technical experts, reviewed the proposals. Anyone interested in learning more about the Dam Management Grant Program, including detailed descriptions of approved grant projects, should visit michigan.gov/dnr-grants. /Note to editors: Accompanying photos are available below for download. Suggested captions follows. CorunnaDam: The removal of Corunna Dam in Shiawassee County is one of two projects that received funds from the DNR's Dam Management Grant Program.